The Companies of Mars, Inc.
A once-in-a-lifetime gathering of 1,800 Mars global associates required a dramatic invitation and TGIF delivered tis custom die-cut multi-layered piece featuring the globe as seen through the spans of the Golden Gate Bridge of San Francisco, the location for the event. Color-coded reply cards and helped keep reservations and sign-ups straight but in an appealing way. 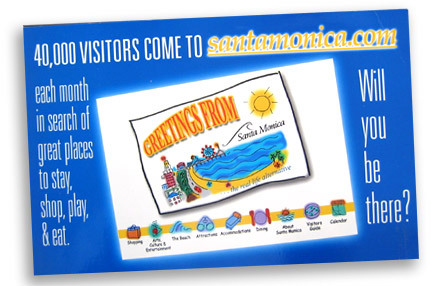 For the launch of the new website of the Santa Monica Convention & Visitors Bureau (which TGIF conceived and designed with programming by Simmonet Solutions) we produced 10,000 5.5" x 9" postcards to spread the word to trade, press, travel industty types and business associates far and wide. Mirroring the whimsical feel and inviting attitude of the site itself was an important part of the strategy to get people to explore the site. The results? A lot of hits from all across the globe! 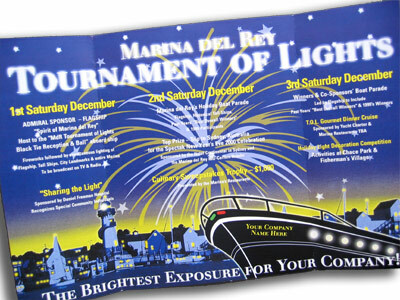 Marina del Rey's annual holiday event needed a boost in sponsorship and underwriting to help fund this popular event. We created a selling piece that helped deliver the excitement and value of participation by local businesses and corporations. In this piece, the name on the front of the cruising boat was actually customized to that of each targeted business during the printing process. The result was a significant bump in the funding and the festivities. 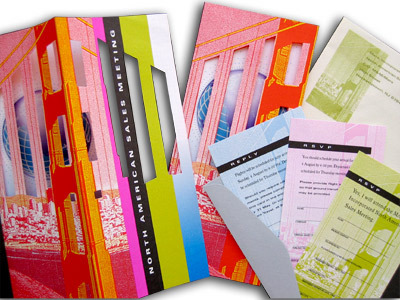 Invitations, programs, direct mail, whatever! TGIF uses the same strategic thinking coupled with quality execution for producing collateral materials as we do when we create big events and advertising. Branding and integrity coupled with flair and fun help deliver to the needs of the client, be they corporate, individual or pro bono as in this invitation for Break the Cycle's Summer Soirée.